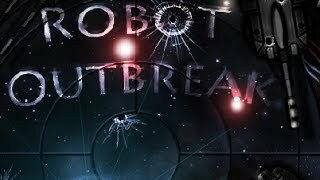 Click on the Play Button and 'Robot Outbreak' will start after this message... Thanks for waiting! Steer your tank against your enemies and blow them up! Look for hidden bonunses and special shields that will stop enemy bullets. Purchase upgraded tanks and obliterate your rivals! These animals are armed to the teeth and ready for some action! Defend your tank from your enemies with the most powerful weapons, repair the damage taken and defeat the bad guys. Control this powerful tank from the future and fight all kinds of dangerous machines with a highly developed AI. 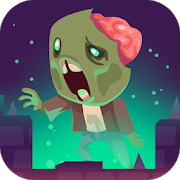 Protect your lands, dodge their shots and complete the missions! Join the brotherhood and fight against T.O.O.L. forces. Enjoy this online shooter get rid of the robots and survive the waves of enemies! Titan Prime In this game you'll have to free a space station. Complete every level by creating a robot that's ready for action. You were hired to stop evil Dr. Brainsinajar, who wants to take over the the world with the help of his army of clones. Get in your tank, hit your enemies and clear 8 challenging stages. Complete every mission to get to the final battle and survive! Have fun! Our planet Earth is in danger! An unknown threat is growing up quickly and extending through the air. Stop that thing before the atmosphere becomes unbreathable! Don't hesitate - control the special anti-plague robots and get ready to fight! Have fun! Your city has been destroyed after a massive attack of hacked robots. Wear your special armor and get ready to fight them with two guns and a knife for short-range attacks. Spend on upgrading your equipment. Steer your tank and fight the hostile intruders that are trying to take your spaceship. Ready your weapons, aim, shoot and join the action!